When airlines started charging extra for checked baggage, wallet-conscious travelers started stuffing everything they could into their carry-ons. Anyone whose flown in the past few years can tell you the turf war for territory in overhead compartments is real, and flight attendants, too, can attest to the increased injury risk caused by the "carry-on crunch." That risk has been borne out by lawsuits against airlines. Most recently, a Colorado man sued Southwest Airlines, claiming flight staff should've spotted an "infirm" passenger trying to load a suitcase in an overhead bin and intervened before the suitcase fell on his head. Charles E. Giebel II claimed he was waiting in his seat at Denver International Airport on his way to Newark, New Jersey in 2017, when another passenger struggled trying to put a suitcase in an overhead bin. Giebel's lawsuit alleges that flight attendants should've noticed the passenger was having trouble and helped him. Instead, the suitcase fell onto Giebel's head, striking his shoulder, right forearm, and elbow, causing shoulder and head pain, a bleeding abrasion, and other permanent injuries. Southwest has thus far not issued a comment on the lawsuit. Overhead compartment injuries are becoming more common, and those "baggage may have shifted during flight" warnings don't quite apply in cases like this one. Giebel likely has a pair of claims against Southwest, for general negligence and a failure to properly train its employees. Negligence require a person to prove that the defendant owed them a duty of care in a specific situation and that the defendant's failure to uphold this duty led to their injuries. 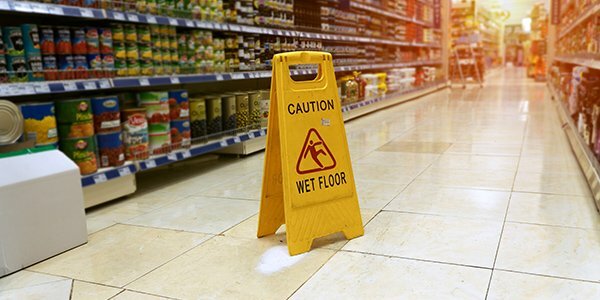 In addition to generally being liable for the on-the-job negligence of employees, employers may also be liable if employees were not trained properly and that failure leads to an injury. If you've been injured -- by falling luggage or otherwise -- talk to an experienced personal injury attorney about your legal options.